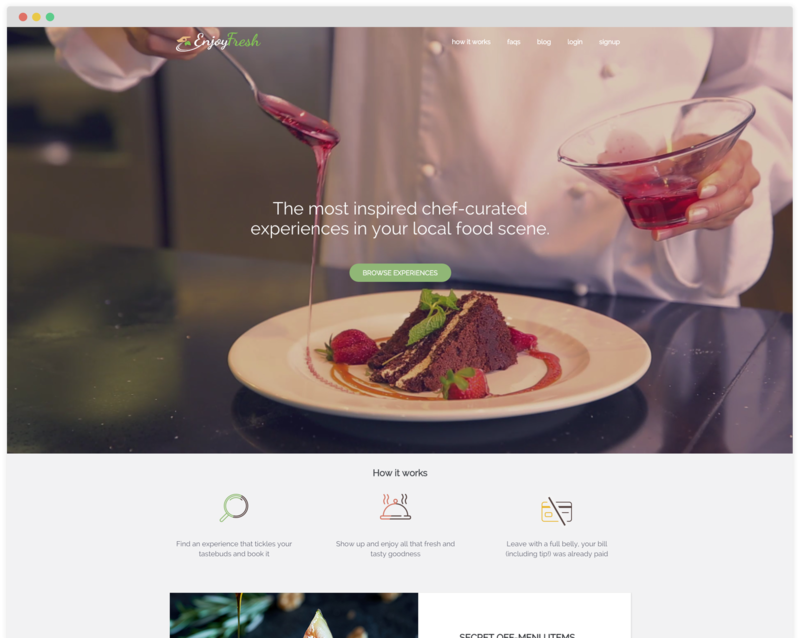 The most inspired chef-curated experiences in your local food scene. 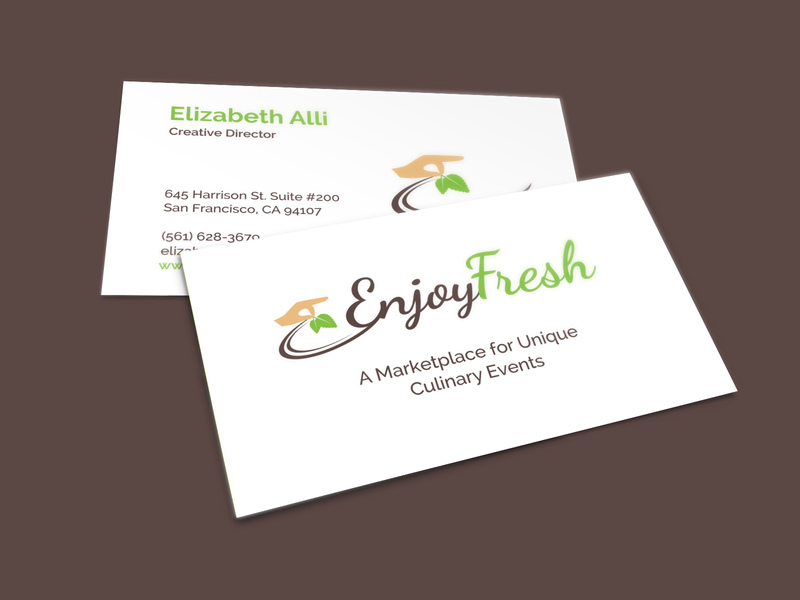 I started working with EnjoyFresh as a freelancer to help them do a quick revamp of their foodie marketplace. What was suppose to be a short month long project turned into an amazing 2 year stint as Creative Director. 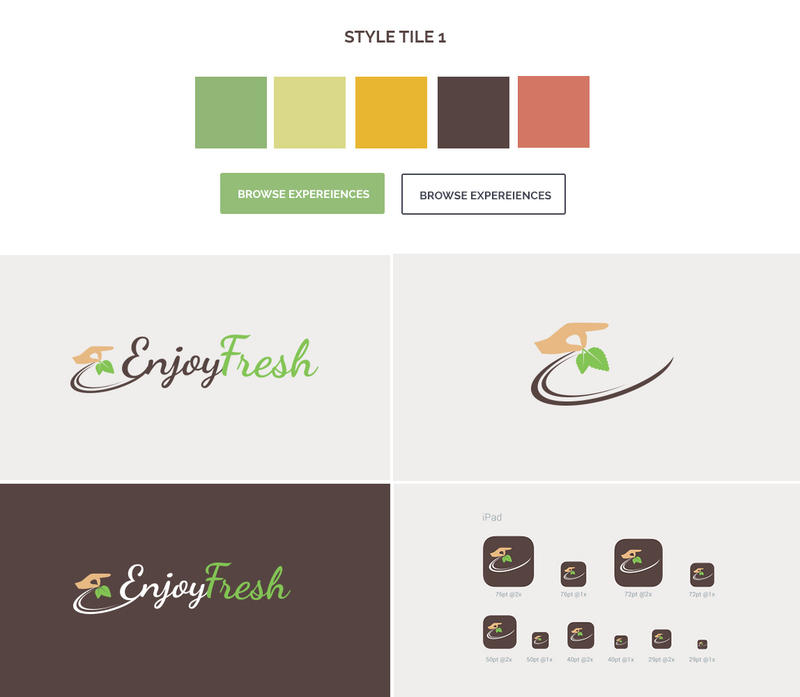 Since then, I’ve helped guide EnjoyFresh through multiple UI/UX incarnations of their user-facing and business-facing sites and mobile apps. This project presented a lot of interesting challenges. We had a very difficult time in the first two version finding the right product market fit. What started out as an app to connect local with unique foodie experience was doing ok, but not seeing the adoption and growth we were projecting. After getting it into the market and testing it with users, our iterations and feedback led to a somewhat bizarre pivot into the niche of corporate food delivery! The company, having been initially headquartered in San Francisco gave us different advantages in the first iteration that changed drastically when the founder moved the headquarters to Florida and the business model change with it. We realized that while there were many things we could have done to continue down the road we were going in this new region, the particular locality, connections and infrastructure that the business had in place was much more well suited to the corporate world. The lesson, I learned from this experience was that even through all the research done in the initial stages, when you’re dealing with a localized product you have to cater to the market and system where the business exists and has the most leverage. Design thinking and looking through the lens of the business and the new users helped me direct the company to what was right for them rather than just making the coolest looking/working thing. 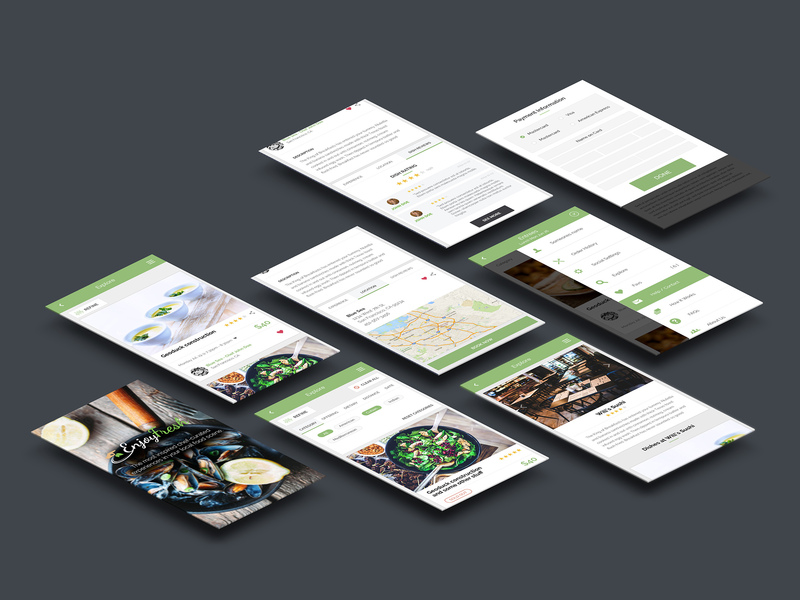 The third iteration of the EnjoyFresh user-facing mobile app. My role consisted of user research, initial sketches, wireframing, user flow models, prototyping through to final designs and QA testing. 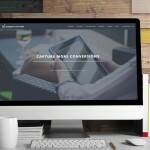 I worked closely with the product management team and IT department to implement (and sometimes jumped into front-end code) to create a technically sound infrastructure and databased for the custom admin content management system. I chose a palette of earthy, savory colors. Including Thyme green, Mustard, Salmon and Chocolate shades. The logo design culminated after a long process of sketching and testing various word and mark concepts over the course of a few months. The final concept communicates the hand made experience and the idea of elevated cuisine with a chef hand plating and placing the mint leaf garnish.